Going once, going twice, going online! Welcome to our first online auction, scheduled for Nov. 20 through Dec. 12, 2013. 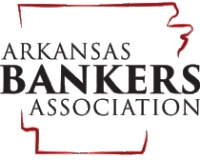 We hope this will help you with your Holiday shopping and us with our fundraising efforts to benefit economic and personal finance literacy in Arkansas. Donating items. We are seeking collectibles, gift cards, goods and services, trips, parties and special experiences. Sponsoring our auction page. You may make a monetary gift to support this fundraiser. Sponsors will be acknowledged with their logo on our auction page and auction emails. Spreading the word. Invite family members, friends, colleagues and running buddies via designated emails to donate and bid. Bidding. The auction opens Nov. 20 and will continue through Dec. 12. That’s plenty of time to bid on your favorite items as Holiday gifts. Please visit our auction page to donate, sponsor, refer your friends and bid. Thank you.